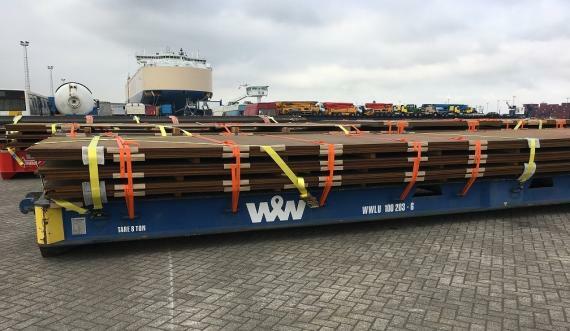 Europe Cargo in Belgium have loaded 1,100tns of steel plates at Antwerp Port destined for Hamad Port in Qatar. 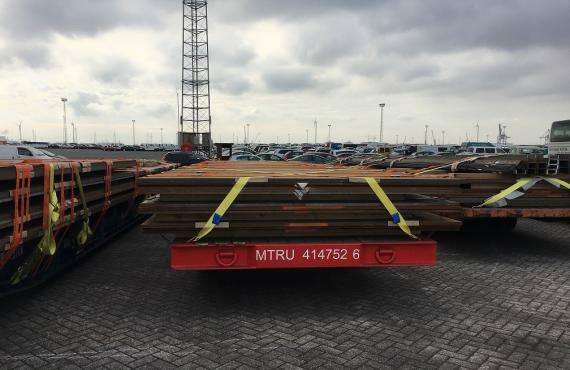 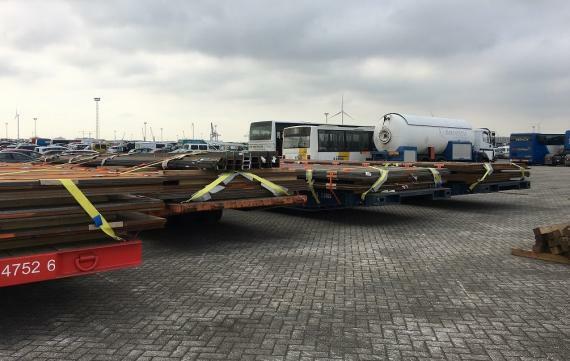 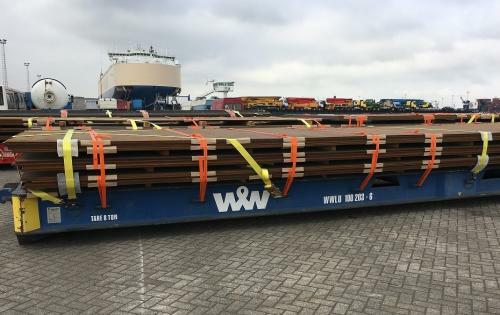 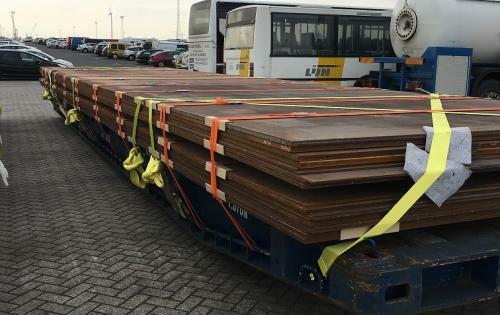 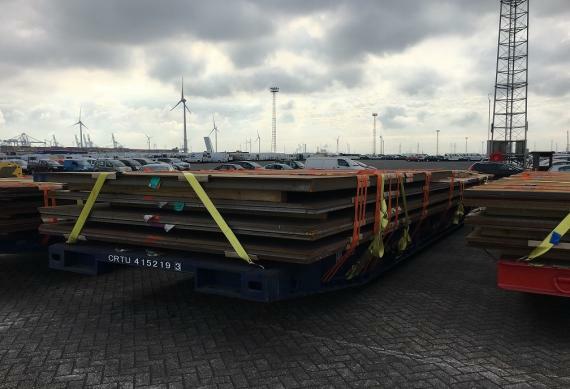 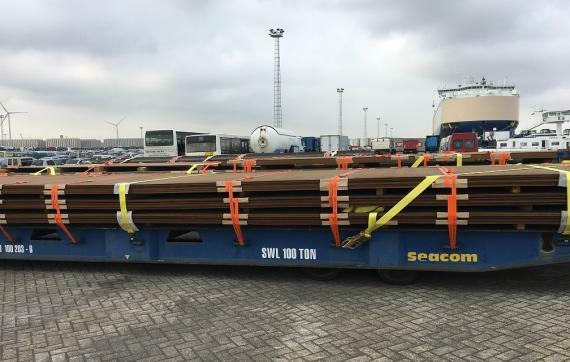 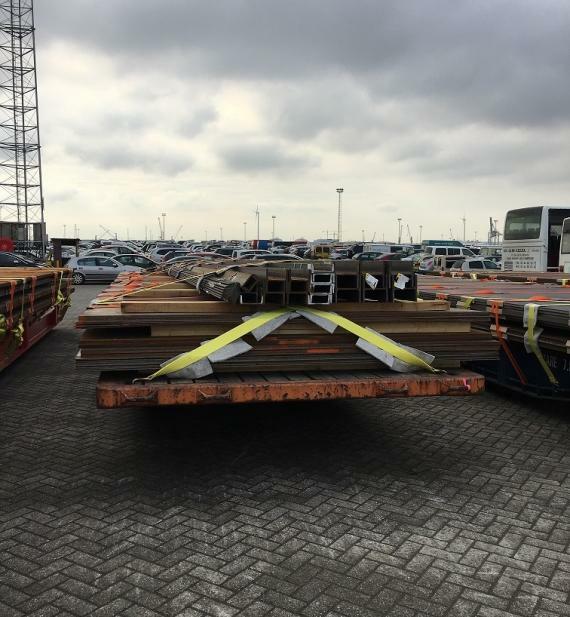 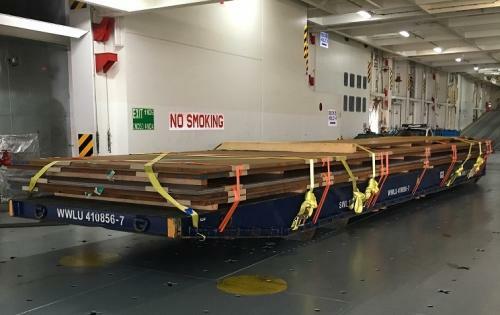 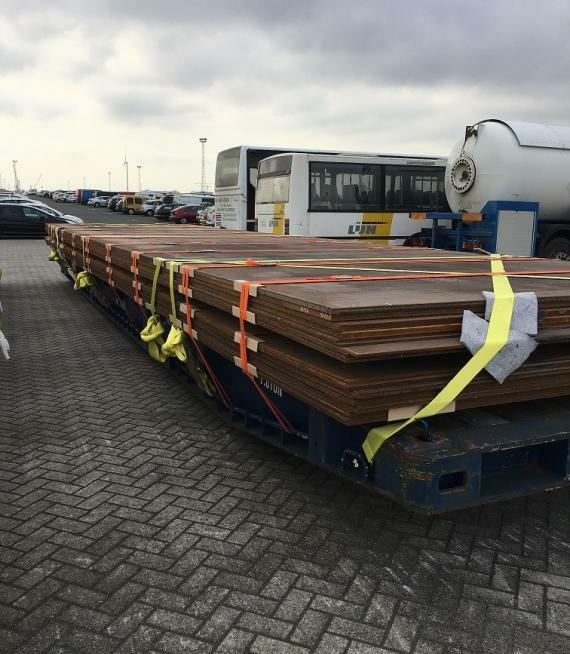 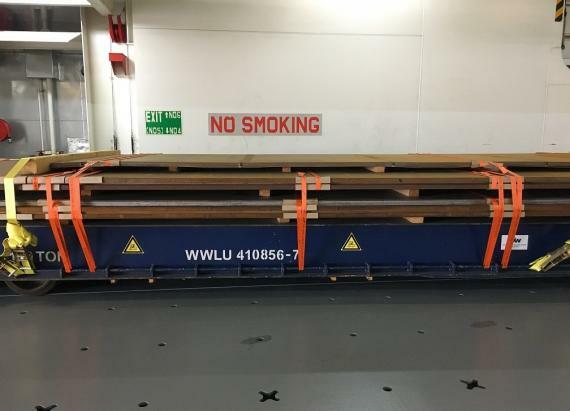 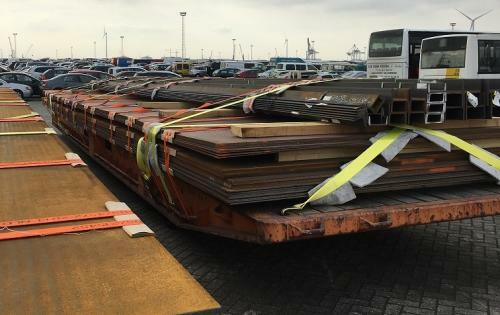 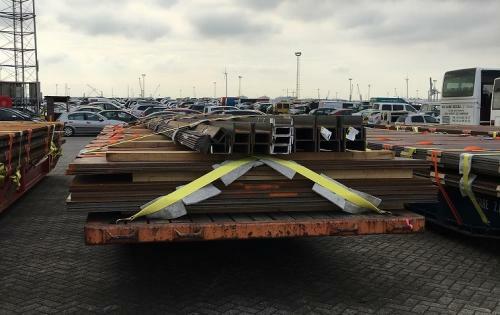 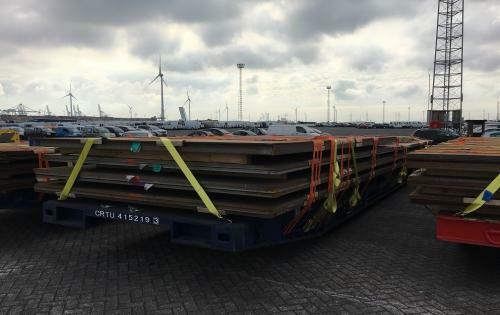 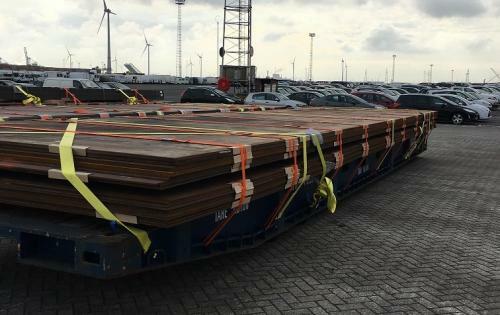 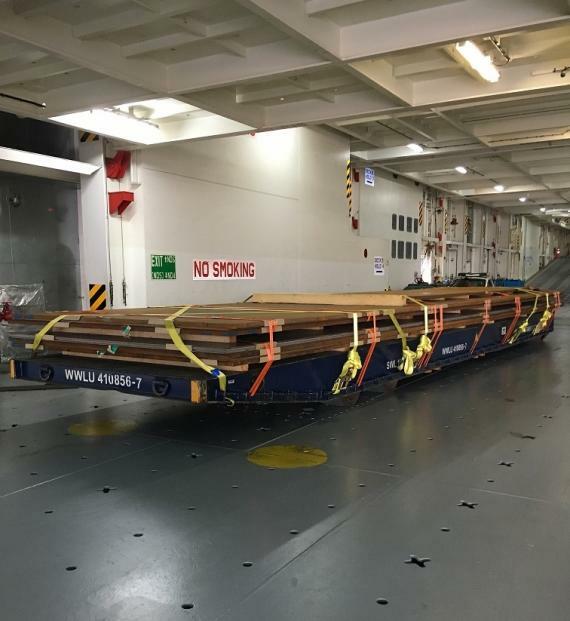 General Manager of the Forwarding Department at Europe Cargo, Sven Gillemot explains; "The request from the shipper was to ship the steel plates in one lot and as per the L/C, we had to leave Antwerp at the latest on 15/07 and arrive at Hamad Port by 15/08. 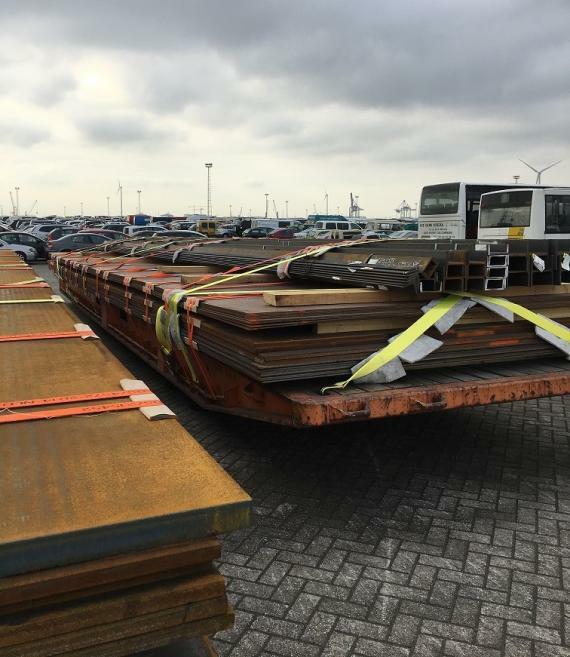 Because there are no regular conventional sailings from Antwerp to Hamad and chartering was too expensive, we found a solution with a RORO carrier with a direct service on MV. 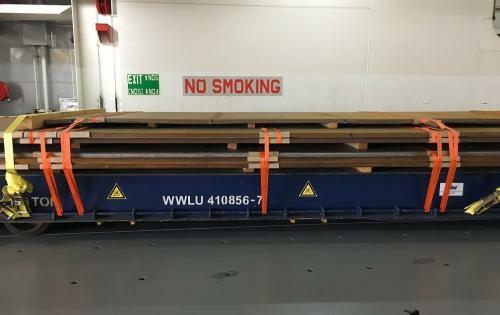 Morning Chant." 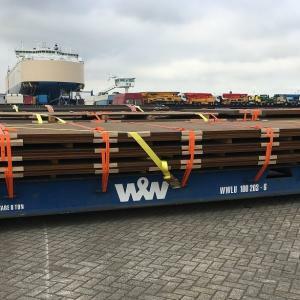 The cargo was delivered by the shipper on 42 trucks at Antwerp Port and Europe Cargo also arranged the discharging of the cargo from the trucks onto 13 x 40' MAFI trailers. 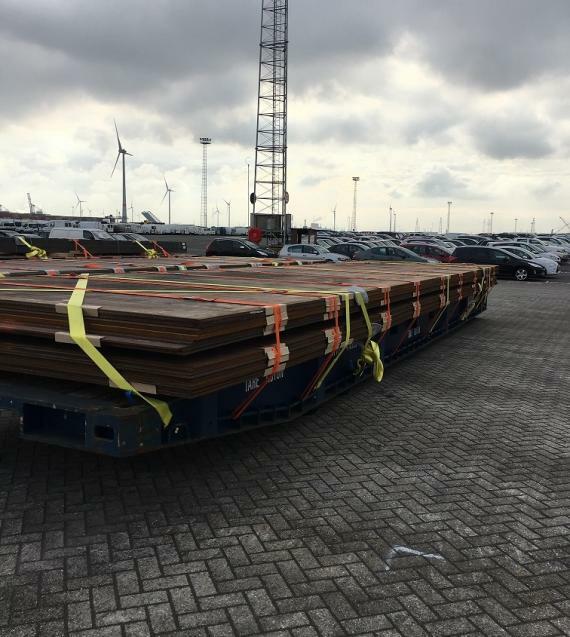 The vessel sailed on 13/07 from Antwerp and will arrive at Hamad Port on 05/08 well within the required timeframe. 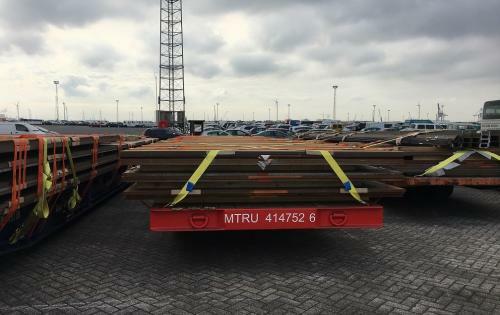 The cargo is photographed below lashed to the MAFI trailers.